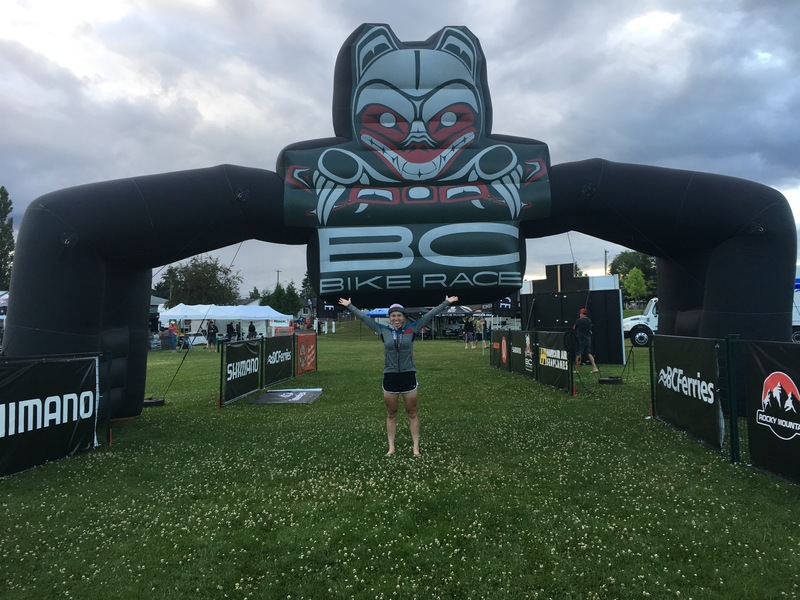 I debated writing a blog for the first stage of BCBR, partially because I don’t know if I can commit to a blog each day of the event, and also because I’m sure my emotions and feelings will charge so much as this week continues onward. I decided to write it. I decided to write it because so far I am enthralled. 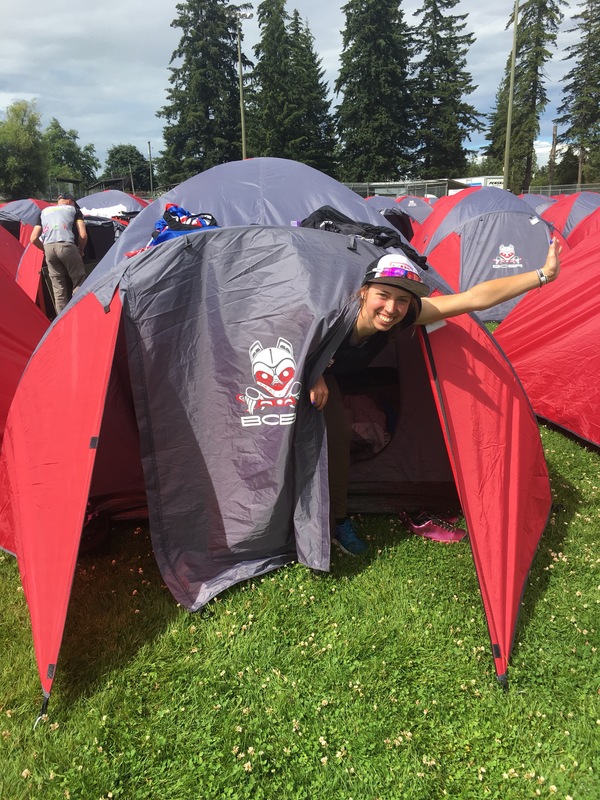 I’m so impressed and amazed at this alternate universe I have entered as I signed my life away to BC bike race and committed to a week of tent sleeping, bike racing, trail blazing-adventure. As we arrived, it was clear that we weren’t going to be a traveling group. We are our own traveling town. With over 300 tents, bags, bikes and not to mention trucks, washrooms, water, and food, we impact every place that we come through as a tornado. 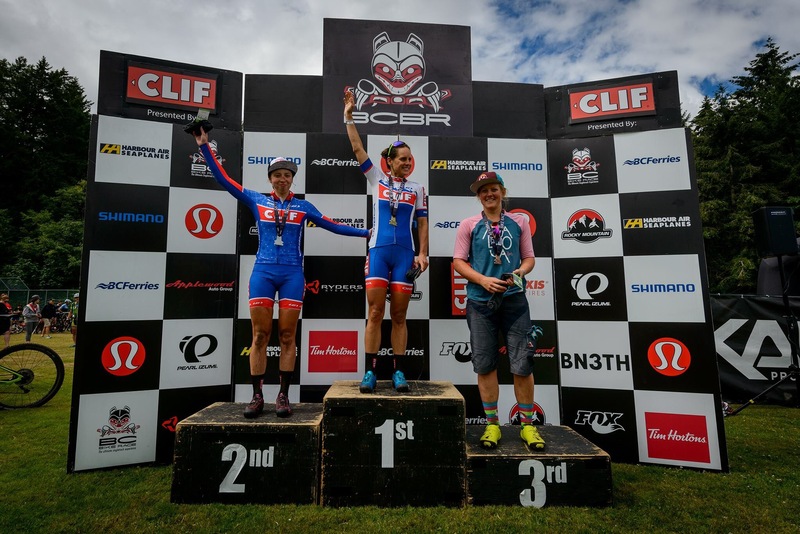 Over 700 people, all thrown together to endure, with one powerful thing in common…a love to race bikes. This is a powerful bond that I believe lights up each town we travel through. After packing up my little red bag (with everything and more than what was in my packing list). I took a deep breath and slid into the trance that is BCBR. In the early, crispy hours of the morning I emerged from my tent to find the hustle and bustle of athletes all prepping for a day on the trails. With camping, and being my own mechanic etc for the 7 days I adopted the mantra for the week “Make it work.” Part of the game is to overcome and as I make this journey that is just my plan. That said, today was a fantastic day. I rode away with a 2nd place finish in the first stage. The trails were incredible and I soared through the miles and pushed up the grueling climbs with all the other men and women. Riding these courses blind (not seeing the trails before), however, is a new kind of challenge. A couple wrong line choices today left me facing a 5 foot drop and back tracking onto the better option. A small crash left me with a couple bolts to tighten in the morning and a couple small scraps, but all and all day 1 left me with a huge smile on my face and a big fire in my belly. I can’t wait to see what the next six (!) days have in store. I can certainly see God’s artistry in these trails and I hope to ride with Him by my side.